It’s not often that you come across a drone made by a company that’s not DJI that really turns out to be a game-changer. But the new Skydio R1 drone may actually deliver. 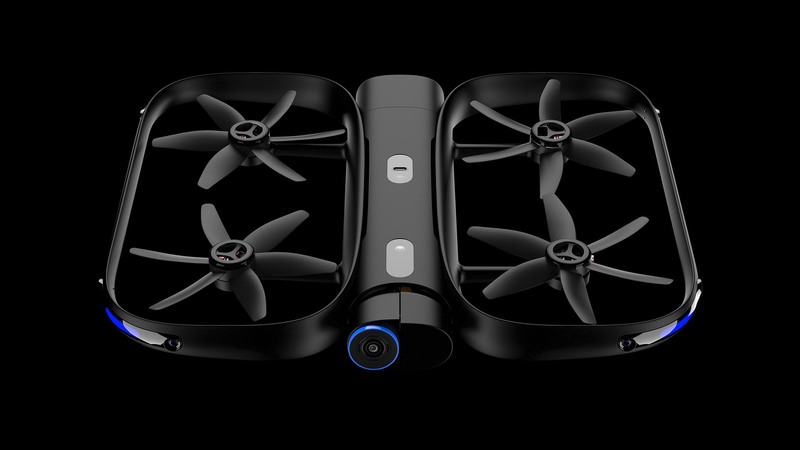 Silicon Valley-based drone maker Skydio today launched its R1 drone, which might truly be able to claim the title of first fully autonomous consumer drone. The drone has 13 cameras enabling it to see on all sides and avoid obstacles around it. And it is powered by the Nvidia Jetson AI, its platform that enables deep learning processing locally. All that processing power means that the drone is intended to fly fully autonomously. You simply set it to take off, and the drone flies — no hands required. In fact, the Skydio R1 doesn’t even come with an RC transmitter (though for people who still want joysticks, they can be used via the app). Within the app, owners can set different modes for what the camera captures, such as a 360 capture, following you or flying in front of you. But don’t worry if you want the 360 capture and you’re surrounded by obstacles. The Skydio R1 promises not to hit them. Try to make it fly a 360-degree rotation in a forest, and the drone will navigate around even the thinnest branches. It’s impossible to crash. With all those smart cameras, the Skydio R1 drone picks up the slack where a lot of “follow-me” drones have failed. Since it relies on sensors rather than GPS, it really knows what obstacles are around it — even moving poeple. “A pretty typical customer experience is people fly the drone and almost immediately crash it,” said Skydio CEO Adam Bry. In the latest wave of consumer drones, including DJI’s Mavic and Spark line, obstacle avoidance has been increasingly added to eliminate such crashes. But it’s still used more as an aid or a safety feature. With this drone, the obstacle avoidance literally flies it. The Skydio R1 will sell for about $2,500 and can sense and avoid objects on all sides. The Skydio R1 looks to show immense promise especially in filming action sports, like skiing, where the drone can detect trees on the mountain and not crash. It is intended to be a prosumer level drone, shooting 4K video at 30 fps and offering about 16 minutes of flight time. The Skydio R1 comes at a tricky time for consumer drones, which have a seemingly impossible time at competing against DJI. Just this year, action camera dronemaker GoPro laid off hundreds of its employees, primarily due to its Karma drone’s failures. But Skydio’s leaders have been paying attention to the drone industry — and it looks like they have a chance at avoiding the mistakes made by their predecessors. 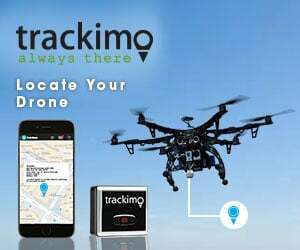 Unlike other “follow-me” drones such as the one from Airdog, which can’t exactly guarantee they won’t crash and operate primarily based on GPS, the R1 can even detect moving people thanks to the more than a dozen navigational cameras onboard. Another indicator that Skydio has a shot? Pre-orders start today and the drone is ready to ship — a clear indication that Skydio wants to avoid the failures of predecessors that have a history of over-promising and not delivering, such as Lily (that drone launched its pre-sales that it could launch from the palm of your hand and was waterproof, but never even shipped). The big challenge for Skydio is going to be the price tag. All that processing power costs money — and it’s going to cost customers $2,499. Skydio’s founders aren’t too concerned. They compare the R1 to the early stages of Tesla. It’s a revolutionary drone with technology that is smarter than anything before it. But it will require early adopters who are willing to make the initial major investment. But for people who are looking to buy a camera drone, it might be tough to convince them that they can have a much smarter drone for $2,499, when they can still get a great drone for a third of the cost in something like the $799 Mavic Air (though that one can’t completely fly on its own without guaranteeing a crash). The other big question with the Skydio R1 is how the public responds to a fully autonomous — no RC transmitter required — drone. Do people find joy in prosumer drones because they like the thrill of flying with the joysticks? Or will the public find a reason to have follow-me type drones behind the niche field of action sports photography? But if it’s any indication that Skydio is offering something truly innovative, it’s that investors are excited. With the launch of R1, Skydio also announced a $42 million Series B funding round, bringing its total funding to $70 million. The company is backed by IVP, Playground Global, NVIDIA, Accel and Andreessen Horowitz. Skydio’s R1 is an outstanding drone that is smarter than any prosumer drone I’ve seen before. It flies gracefully, safely and is honestly the first crash-proof prosumer drone out there. If the price tag doesn’t scare people away, then Skydio has a shot at being the first American drone company to succeed — and the first to really serve as competition for current king of the drone space, DJI. Not sure who this is aimed at really? For film people the camera isn’t good enough, we’ve already moved beyond 12mp photos and 4K video at 30fps for that price, and for hobby folks who like flying there is no flying involved. The design is good, definitely headed in the right direction there, and the obstacle avoidance system sounds good as well. Sounds pretty awesome. I’m more than sure they thought of this idea, but what if they put small solar panels on it. Yes it would be a little heavier a little more expensive. The idea would really blow the competition. Image flying a drone for hours! Just saw the article in the New York Times. Nice job! Do what Tesla did for cars? They want to send a drone to Mars? demographic /psychographic mark and will suffer financially if they are unwilling to reassess and adjust the price point of this drone. yawn…. This thing looks like something parrot would produce for children. My mavic pro is more advanced than this for a third of the price. I promise you it can and will crash. 16min of flight time? is that a joke? 30fps is it 2005? Welcome to the also ran class. DJI remains the uncontested standard in drone technology.